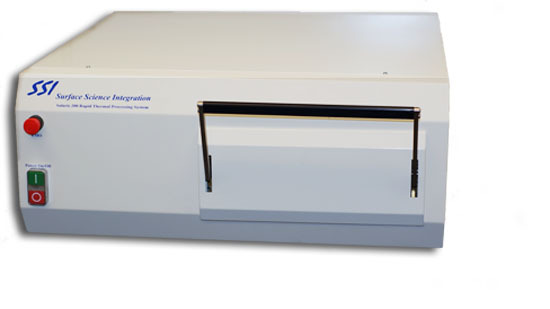 The Solaris 200 is a manual loading RTP system built typically for the R&D. The Solaris uses a unique PID process controller that ensures accurate temperature stability and uniformity. The system can accommodate 6 interlocked MFCs for gas mixing and forming gas processing. 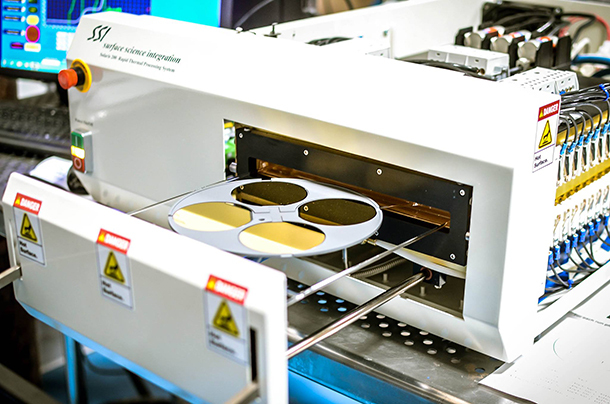 The Solaris is designed for silicon implant annealing and monitoring and compound semiconductor implant activation and ohmic alloying. This System has state of the art options available and is customizable by the end user on purchase. We work with the buyer on every additional feature needed to have a final product that will meet the laboratory demands of the modern scientist. If you are interested in these customizable options please contact a sales representative in your area. ▪User Friendly software that allows users to interact with data including 9 different graphing options. ▪Gas Delivery system is capable of up to 6 Mass Flow controllers. ▪ Wafer Capability: 1″ to 8″ , Sample holders are available. ▪ Sic Coated Susceptors available for III-V processing.